This super colorful jungle bouncer has palm trees on the corners and some of your favorite animals on the front. 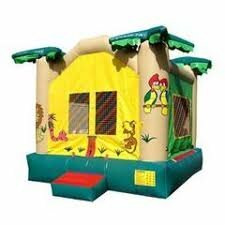 Rent the jungle bouncer for your next party. It has a saftey step on the front and netting on all 4 sides for easy viewing.